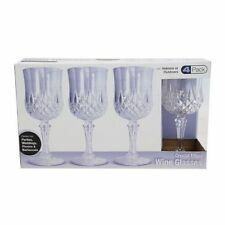 Box of 24 beautiful Champagne flutes. 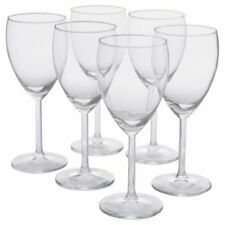 High quality glassware, Great for weddings, corporate functions. 2 @ 7.49, 4 @ 9.99 & 6 Only 12.49! 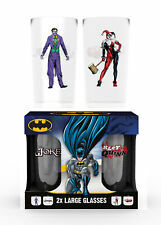 Quality Glassware! The Kilner 1 litre Barrel Dispenser is the perfect solution for storing and dispensing your precious liquor. • Kilner embossed quality glassware. Capacity: 285ml / 10 oz / Half Pint. 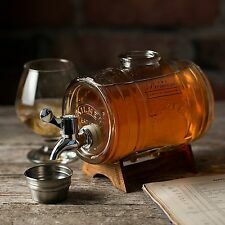 Great for water, juice, spirit and mixer drinks and beer. Great for water, juice, spirit and mixer drink and beer. Size approx 100mm high x 100mm wide at rim x 100mm wide base. Here is a set of vintage/retro sherry/port glasses, in very good condition. 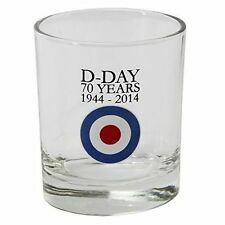 This is a boxed set of 6 different coloured glasses with a unique leaf design on each glass. Still in their original box. Thanks for looking. Any questions please ask. Capacity : 260ml Each Mug. Great For Both Cold & Hot Tea, Coffee, Latte, Cappuccino, Espresso, Hot Chocolate Etc. Plastic 36 Peg Basket Clothes Pegs Garden Washing Line Storage Hanging Hook New. PVC Venetian Blinds Window Door Blind 150cm Drop Easy Fit Trimable Fitting New. This set includes two of each colour. Perfect for outdoor picnics, camping, festivals, BBQ and kids parties. Made from lightweight plastic, In colors of green, pink, blue and orange，randomly. Lightweight thick plastic. 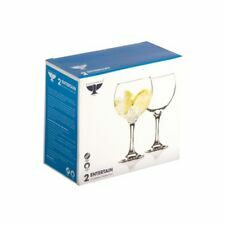 Set of 4 Gin Tonic Balloon Cocktail Mixer Glasses. Blue stems. No box but unused. Dartington Crystal. Composition: Glass. Dishwasher Safe. Skincare Products Health. Wooden toys. Construction Toys. Character Toys. MID CENTURY CHIC. ALFRESCO LIVING. These glass jam jars are ideal for wedding favours, vases, party drinks or just enjoying your favourite cold beverage after a long hard day at work. These coloured glass drinking jars are simple in style and come with lids and straws. Great fun at bbq's or parties with there quirky design and screw top lid. These Mason Jars Are Not Suitable For Hot Drinks. 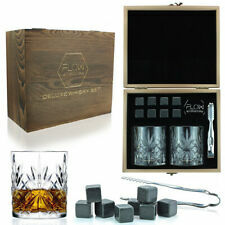 Features 6 Jars In Set Screw Top Lids Coloured Glass 480ml Capacity Embossed Writing Manufactured From Glass. 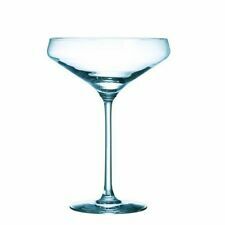 1 x Bodum Pavina Double Wall Set of 2 Glass, 350ml. Dishwasher safe - double walls insulate hot or cold beverages. Mouth blown, double-walled borosilicate glass construction. Beverage appears to float inside inner layer of clear glass. The glasses have a beautiful deep vibrant color and a smooth polished finished. The stem is sculpted with a smooth and round foot. Marked "France". These glasses will make a stunning addition to your bar and drinkware collection. SET OF 2 GIN SLOGANS DRINKING GLASSES GLASS TUMBLERS. 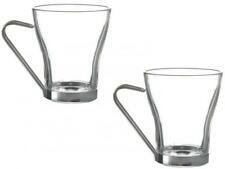 Set of 2 Gin design drinking glasses. Presented in matching gift box. Cosmic Gifts have been established for over 25 years. Providing new and unique gift solutions for any event. This is a set of 4 vintage sherry/port/liqueur glasses with a very attractive etched pattern. In very good condition with no chips or cracks. The glasses measure 11.5cm tall and 5.5cm diameter at the rim. 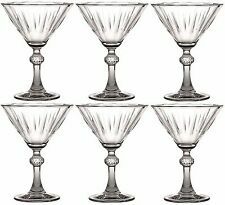 Set of 6 Cocktail Martini Glasses. Dishwasher safe. Height 15cm. Each glass has a 8cl or 2.7 oz capacity. BY "NAPOLI" URBAN LIVING. Perfect for espresso or small coffees. Lovely gift idea in presentation box. Total you receive 6 glasses. Capacity 220ml. Tea Coffee Mug Set. Ideal for coffee and tea. Thermal shock resistant toughened glass. We do however try our best to shorten the process. Size (Length x Width x Height): L-11.5cm (with handle) x W-8cm x H-9.5cm. 4 vintage champagne glasses/saucers/coupes - RCR. Used but in great condition. With box which used to house 6 but sadly 2 got broken. Still a lovely set of vintage glasses. Very pretty design and pattern. Thanks for looking. 2 prestigious glasses. would also make a wonderful gift. Believed to be English. More clearance due to downsizing. This is a set of 6 Vintage Arcoroc Aspen Leaf Glass Side/Salad Plates They are approx 8” round and in very good condition. I can see no chips or cracks. Cash on collection welcome. Please see pictures for details. Any questions, just ask. See also my other items. I combine postage when possible. 6 vintage Napoleon Brandy Glasses with Gold Detail. These ones are 4 inches tall. Condition is Used. Dispatched with Royal Mail 2nd Class. LOVELY Set Vintage Dauphine Glasses Boxed.